There’s something unique about the way a builder combines all the familiar components and creates something more than just a house. That is what we at Carter, Inc. Builders strive for – to make the ordinary into something extraordinary…the home of your dreams! Blending contemporary lifestyle plans with traditional quality craftsmanship, we offer our customers exquisite custom-built homes. We are proud of the award-winning plans that we’ve developed through the years, and will build them on our exclusive building lots or your own. Already have another plan in mind? We’ll gladly work with you and the architect of your choice to design a home that is uniquely yours. What we at Carter, Inc. Builders offer you, is home building at its finest! • Ensure that our homes are aesthetically pleasing inside and out, energy efficient, and durable for generations to come. • Do our best to provide superior customer service at all times and in all ways. • Respond promptly to our customers’ needs and fulfill all of our responsibilities in a timely manner. • Maintain equitable pricing while achieving profit levels considered appropriate and successful by industry standards. • Maintain our reputation for professionalism, honesty, integrity, and ethical conduct in all of our ventures. • Limit our undertaking to a manageable volume that will allow us to maintain our superior standards of quality. • Develop, implement, and maintain excellent proactive construction management and business management systems. • Maintain an exceptional, uncompromising, and measurable level of quality that can and will routinely be evaluated. • Incorporate the latest and finest construction techniques and highest quality products into every project. • Employ only the best artisans and women, trade contractors and support professionals and management team, while sustaining a work environment that fosters innovation and pride in accomplishment for all concerned. 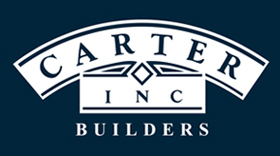 Carter, Inc. Builders is our combined inspiration. 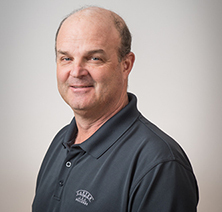 With decades of experience in the homebuilding industry, our knowledge and ability brings exceptional value to every home we build. When you build with Carter, Inc. Builders you work directly with us, and our team of dedicated employees, to ensure that your every wish comes true. Our goal is to work with you to design a home that is luxurious and elegant, while retaining its sense of warmth and function. We provide exceptional personal attention through every step of the building process, making your dream a reality. It is the mission of Carter, Inc Builders to provide every client a home that they will enjoy for its practical and aesthetic values, make the building process a delightful experience, and deliver the home on time, and within budget. • Take pride in everything we do before, during and after construction. • Maintain strong relationships with architects, real estate agents, trade partners and suppliers to have the most experienced and cohesive team to create our clients’ vision. • Give our personal best to fulfill all of our clients’ needs. • Establish open lines of communication between our clients and everyone involved in the building process. • Constantly push ourselves to improve our methods and knowledge of building high end homes. • Operate in a professional manner with utmost regards to integrity and honesty. • Build long lasting relationships with our clients.